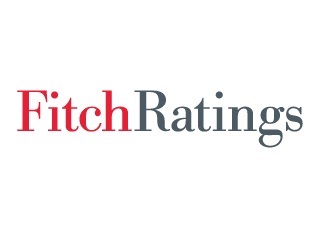 Mumbai/Singapore: A consolidated Indian banking structure would be a positive development in the long term for the Indian banking system, says Fitch Ratings. We believe that consolidation coupled with higher capital requirements and governance reforms would position the banking system better in support of a more open and higher-growth economy. The topic of consolidation has made media headlines following the Union budget and, more recently, at the government’s two-day meeting of Indian Public Sector Banks (PSBs) where the topic was discussed. More stable banking systems tend to be structured around a number of large ‘pillar’ banking groups. These large banks in a consolidated banking system enjoy scale benefits leading to better diversification of risks and stronger overall profitability contributing to higher credit ratings. Good examples in Asia-Pacific include Australia, Singapore, as well as some less developed banking systems in Thailand and Malaysia. In the Indian context, the financial systems would benefit from more banks of a similar size to State Bank of India (SBI). The system is quite fragmented at present, with around 50 domestic banks – with PSB’s accounting for around a 70% asset share. SBI has performed much better than its PSB peers through this credit cycle, thanks in part to greater scale benefits which enhance pricing power from a funding perspective and diversification. SBI has stronger capital ratios and is better positioned to absorb the asset-quality issues that have plagued the sector. Importantly, a well-structured banking system would be in a better position to support the growth potential of the economy. The banking system would need sufficient lending capacity to fund these large corporates as corporate India expands and extends its global reach. Furthermore, private credit to GDP in India should rise from current levels of just over 50% as the middle class grows and becomes more affluent, This would imply higher credit growth rates relative to GDP over an extended period. This evolution is not without risks, and so necessitates a system that is competitive, profitable and well capitalised. Lastly, a consolidated system would also be in a better position to meet one of the Indian government’s key objectives of financial inclusion. There will always be implementation challenges, as with any consolidation process, and so this will require the commitment of all interested parties. It appears that momentum for change may be building. The long-term benefits far outweigh short-term challenges that tend to be associated with a consolidation process that is forced on the sector. Unfortunately, when consolidation is not executed on a voluntary basis, it then tends to be forced on the sector when it least wants to entertain it. However, notwithstanding the talk about potential consolidation, the need to address the PSB’s asset quality and potential capital shortfalls are the more immediate issues that need to be addressed.